Although the Ragtime Wranglers release party at sold-out Rotown Rotterdam took place almost a month ago, we would like to repeat this one more time: it was a great night. Thanks everyone who made this party very special! The Ragtime Wranglers shows at the Oerol festival were some kind of special in their own way: at one day we played 3 shows at 3 different locations with 3 different guests. Later that night, we still weren't tired and recorded some tunes for Typhoon at the local studio. 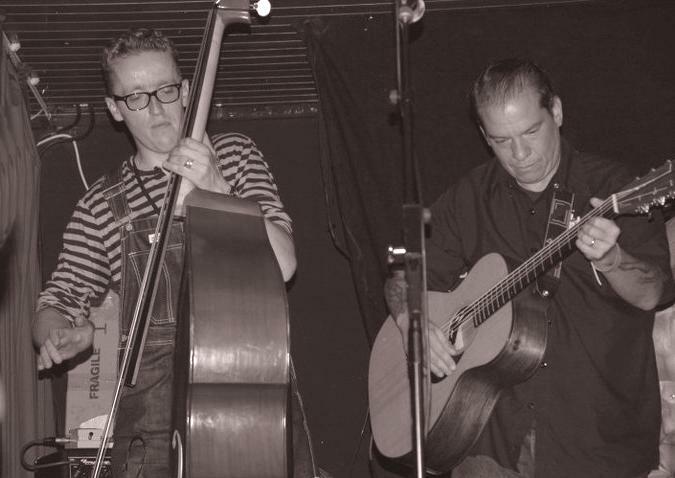 Huey Moor thinks he hasn't got enough shows with Miss Mary Ann / The Ragtime Wranglers, so he travelled to the UK to play bass with Wayne Hancock at the Rockabilly Rave the 16th of June (see picture below). 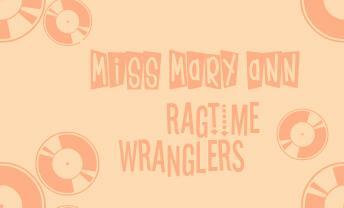 While the Ragtime Wranglers coöperated with different artists, Miss Mary Ann didn't sit and wait. She recorded background vocals for the new album of Clive Osborne's Surfing Gorillas. We can't wait to hear the result and wonder ... When will it be in the shops? 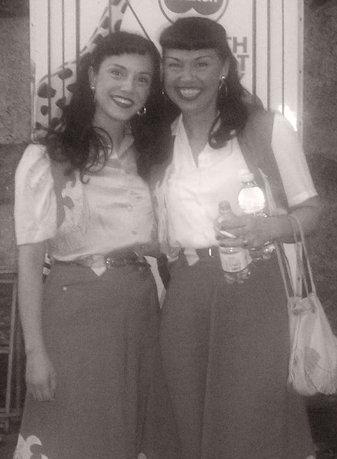 The 25th of June Miss Mary Ann played live with Rocking Bonnie at the Vintage Roots festival Inzago Italy to sing a brand new Rocking Hillbilly Harmony repertoire (see picture below). 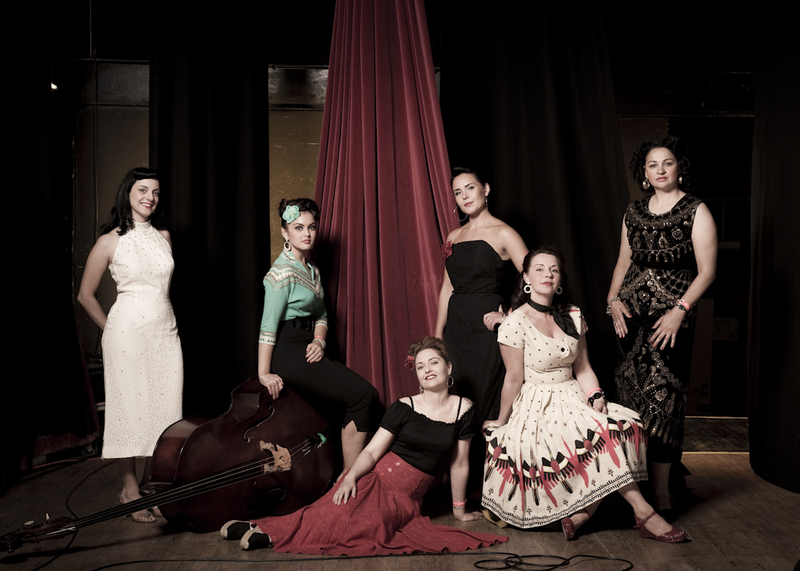 Miss Mary Ann & the Ragtime Wranglers at the Sjock festival Gierle Sunday the 10th of July. Miss Mary Ann & the Ragtime Wranglers at Paradiso Amsterdam opening for Brian Setzer Rockabilly Riot the 11th as well as the 12th of July. Last month, in our previous newsletter, we mentioned the book "Rockin': The Rockabilly Scene" by Andrew Shaylor. Now we actually have it in our hands and can't stop raving about it: we are very proud to be part of this super cool work of art!